The Division of Market Oversight (DMO) of the US Commodity Futures Trading Commission (CFTC) yesterday issued an advisory regarding the ongoing duty to comply with the timely reporting requirements of CFTC Regulation 17.04(a) in relation to omnibus accounts. Omnibus accounts are relatively commonplace within the retail forex sector as a means of transmitting deposited funds between client and white label partner, then from white label partner to forex broker in order to fund the client account. The US authorities regard investor protection as a high priority, and have discussed it at Senate level earlier this year. The purpose of such an account is twofold. Firstly, the intention is to facilitate the transaction of individual accounts which are combined in this type of account, allowing for easier management by the futures merchant as clients can make deposits directly to the white label partner of a futures merchant individually, then the futures merchant draws the funding down in one transaction, leaving behind a small amount to enable the white label partner to facilitate withdrawals without having to request them from the futures merchant itself, plus it aids transparency between white label partner and forex company. 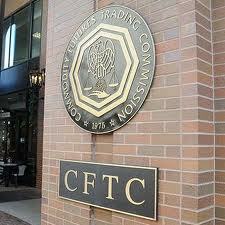 With regard to the obligations of market participants which operate in this manner, the CFTC receives, pursuant to Part 17 of its regulations, daily reports on the reportable futures and options positions in all special accounts carried by futures commission merchants, clearing members and foreign brokers. The reports include information pertaining to omnibus accounts.